The discovery of circular DNA, over 30 years ago, introduced an element of uneasiness in what had been, up to that point, the almost picture-perfect story of the elucidation of the molecular biology of heredity. If DNA indeed has the Watson-Crick right-handed helical secondary structure, then in circular DNA, thousands, or perhaps even millions of twists must be removed in each generation, and re-wound in the next generation. Although enzyme systems adequate for this task have long since been found and characterized, there have nevertheless arisen a number of proposals for alternative DNA structures in which the strands are topologically non-linked, so that they might separate during replication without having to be unwound. These structures have generally been put forth as theory only, and have been largely unaccompanied by experimental evidence to support their applicability to native DNA from living systems. Recently, however, a report has emerged suggesting that it might be possible to separate, intact, the individual single-stranded circular half-chromosomes which constitute the double-stranded circular chromosomes of certain plasmids. This would not be possible unless the chromosomes had one of the alternative, topologically non-linked structures. It is widely believed that after a half-century of worldwide DNA research, any significant change to the Watson-Crick structure is unlikely to stand up to scrutiny. 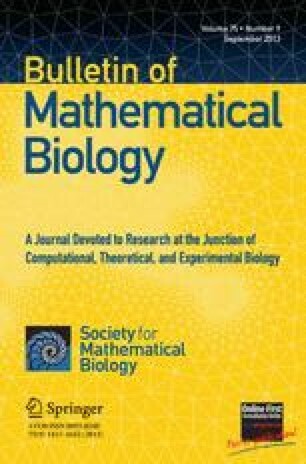 Nevertheless, the present author has found that in many instances in which the behavior of circular duplex DNA is considered to be explicable only in terms of the topologically linked helical model, it is also possible to explain that same behavior in terms of a topologically non-linked model. It is necessary, in these instances, to make certain logical assumptions which cannot be conclusively proven at the present time. The author herein offers an example of one such instance, namely an examination of the behavior of circular duplex DNA in an alkaline titration experiment, where conformational changes in DNA are deduced from changes in its buoyant density at pH’s between 7 and 14. These data have been explained in terms of topological linkage between the DNA strands, but they can also be explained without invoking any such topological linkage, provided that the above-mentioned logical assumptions can be accepted. The principles which emerge from this are applicable to other settings in which knowledge of the topology of DNA is critical to the understanding of observed phenomena.